Wisconsin&apos;s two term govermor has elected not to make the attempt at a third term, according to a report on a political website. 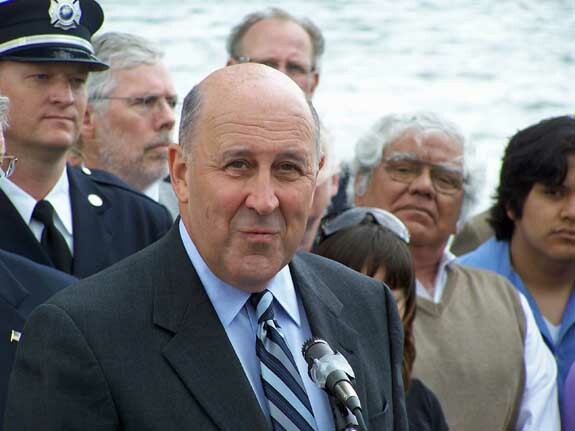 POLITICO , without citing specific sources, reports Governor Jim Doyle will not seek re-election in 2010. "By deciding against a run, Doyle, a Democrat, sets off what could be one of the most competitive gubernatorial races in the country next year," writes POLITICO &apos;s Jonathan Martin. Doyle has remained noncommittal for months, regarding a re-elelection effort. Republicans are already positioning themselves for a run: Milwaukee County Executive Scott Walker and former congressman Mark Nuemann are running for their party&apos;s nomination, along with Appleton businessman Mark Todd. "Whether or not Governor Doyle runs again, Republicans will be well-positioned to take back the governor&apos;s office next year and get to work making Wisconsin great again," said state GOP Chair Reince Priebus in a statement. Lieutenant Governor Barbara Lawton finished first in a straw poll, when delegates to this year&apos;s state Democratic Party convention were asked who&apos;d they&apos;d favor if Doyle decided not to run. Doyle&apos;s decision is now likely to spur other Democrats to enter the race.